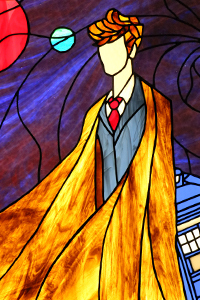 Learn stained glass using the copper foil method. Visit us at an upcoming market. Welcome to Awesome Sauce Designs! We specialize in stained glass art with a modern style. If stained glass is something you’ve always wanted to try, we offer 1 day or 2 evening Introductory classes designed for people with busy schedules. All classes sizes are kept small (6 people or less) to ensure each student gets an ample amount of one-on-one attention. 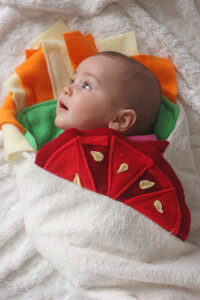 We also offer quirky handmade items such as burrito baby blankets and punny greeting cards. All work is available for wholesale. Please take a look around, visit my shop, or contact me if you have any questions or are interested in a commission work. From clean and modern pieces to pop culture items; this is not your grandmother’s stained glass. Unique and funny baby gifts designed to put a smile on your face. From baby beards to burrito blankets find something out of the ordinary. 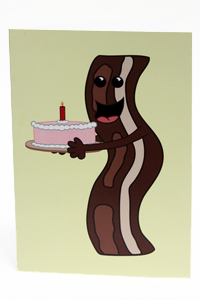 For those with a sense of humour, we have cute and punny greeting cards for any occasion.